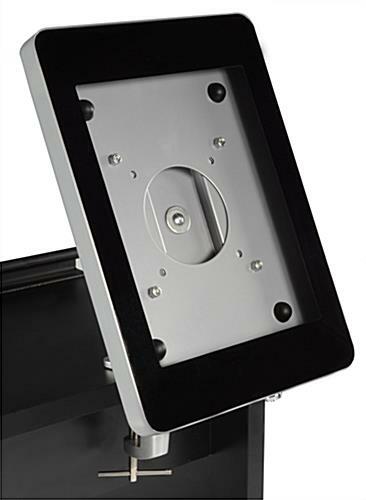 Restricted home button prevents unauthorized program use. 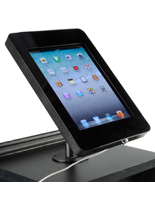 Locking security enclosure holds 2nd, 3rd, 4th &Air -gen iPad tablets. 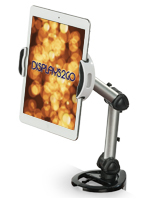 Portable clamp-mount attaches to any surface edge up to 2" thick. 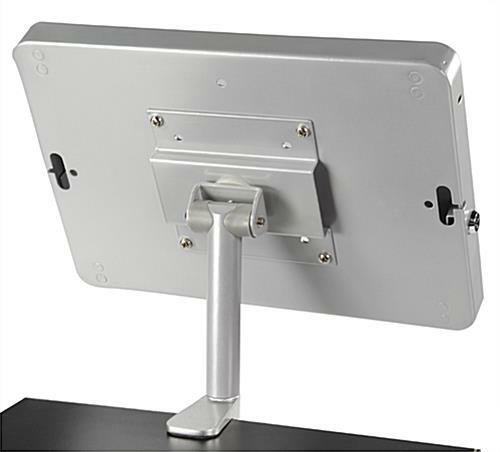 These iPad desk mount holders have a clamp bracket base that attaches the fixture to counters, desks or tables. 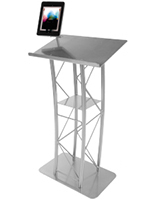 These silver-finish temporary display fixtures are ideal for businesses that need stationary tablet stands that can be moved from place to place if needed. 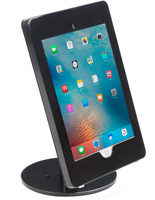 These interactive Apple tablet stands, clamp-mounting iPad desk mount holders allow the devices to remain protected when relocated because the enclosure locks securely. 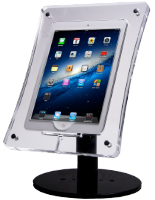 These silver key-locking cases tilt and rotate but cover the Apple tablet Home button to guard against unauthorized access, tampering and theft. 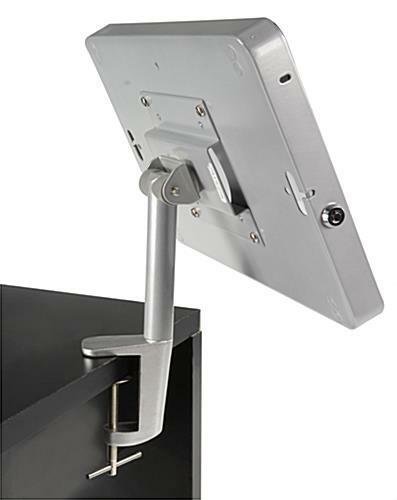 These versatile iPad desk mount holders, also known as clamp-base countertop stands, are ideal for use in fast-paced retail, educational or commercial establishments. 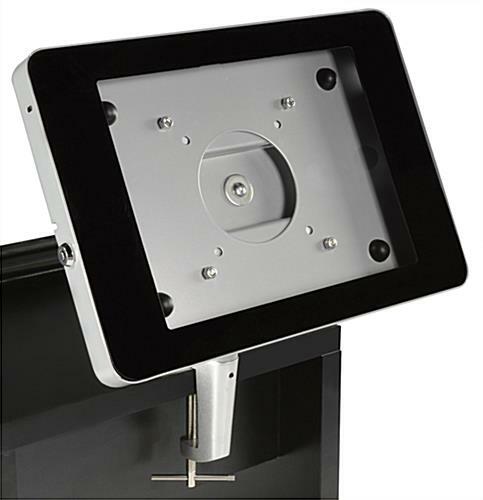 8.1" x 15.0" x 23.8"